that much closer to fulfilling their dreams of owning a business. major cities, Texas is an excellent place to do business. expected to continue in 2017.
speak with over 200 exhibitors. 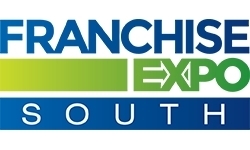 To register to attend the Franchise Expo South, visit www.FranchiseExpoSouth.com. recommended. Use Promo Code “PSR” to register for your free pass. through web-based resources such as FranchiseExpo.com.